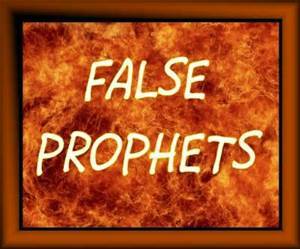 For everyone on the spiritual pathway a word of warning may not come amiss and that is: ‘Whatever you do, beware of false prophets and messiahs!’ To this day, they are sure to be encountered by all of us in the form of people who are trying to take us in. The only one hundred percent reliable teacher in the whole wide world dwells inside everybody’s innermost heart and is waiting to be called upon and spring into action. Yet, even in these communications with our inner Master, the living God within, it is essential that we use our discriminatory faculties, so they can be developed to their highest potential. Sorting the wheat from the chaff is now more important than it ever was before. Do not believe anything or anyone, including me and my writings – not that I would call myself a prophet or messiah, but I am sure you know what I mean – without verifying the information before you with your inner guidance first. In order to do this, whatever you hear or read anywhere, let it flow through the filter of the world of your feelings, especially your heart, as that is the only place in the world where truth dwells. Listen carefully to what it tells you. Our inner guru, also known as the living God within, has full access to every bit of wisdom and knowledge that has ever been gathered anywhere in the whole of Creation. S/He is the final authority on recognising and telling us the difference between right and wrong, truths and lies. Learn to listen to this teacher carefully, with love and respect. Test and try it, time and again, and it will amaze you how much it can and will tell and help you, even down to tackling your most mundane tasks. This authority in everybody is waiting to help us understand what is happening in our world, within and without, with ever increasing speed. It is waiting to be called upon to show us how to overcome all our fears and how to transmute our negative thoughts and feelings into positive and constructive ones.